Our "Fins, Furs, Feathers, & Friends" Division 3 team traveled to Ewing High School to compete with great OM teams from across the state. 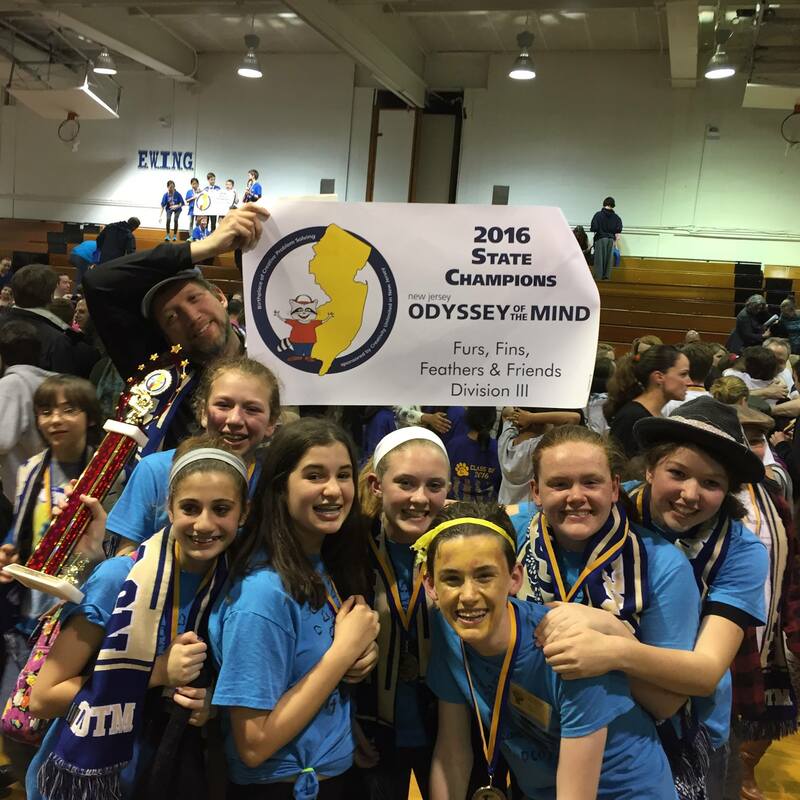 Our "Aesop Gone Viral" Division 1 team is 2nd in New Jersey! Seven Collingswood Recreation Program Odyssey of the Mind teams traveled to the New Jersey State Finals on Saturday April 9 held at Ewing High School. There they competed with dozens of other teams from across the state. The teams qualified for state finals after being awarded 1st, 2nd, or 3rd place at the Lighthouse Regional Tournament held in March. We are tremendously proud of all our OMers and applaud their creativity, dedication, and teamwork throughout the 2016 OM season. Fins, Furs, Feathers, & Friends, Division 3 (9-12th grade) - 1st Place, New Jersey State Champions, and top scores in the Long-term, Style, and Spontaneous categories. Congratulations OMers! And thank you coaches, parents, and volunteers who made this possible. 2016 World Finals will be held May 25-28 at Iowa State University in Ames, IA. They will compete with hundreds of teams from across the country and the world. Having two teams invited to World Finals in a single year is a fantastic achievement for our program. 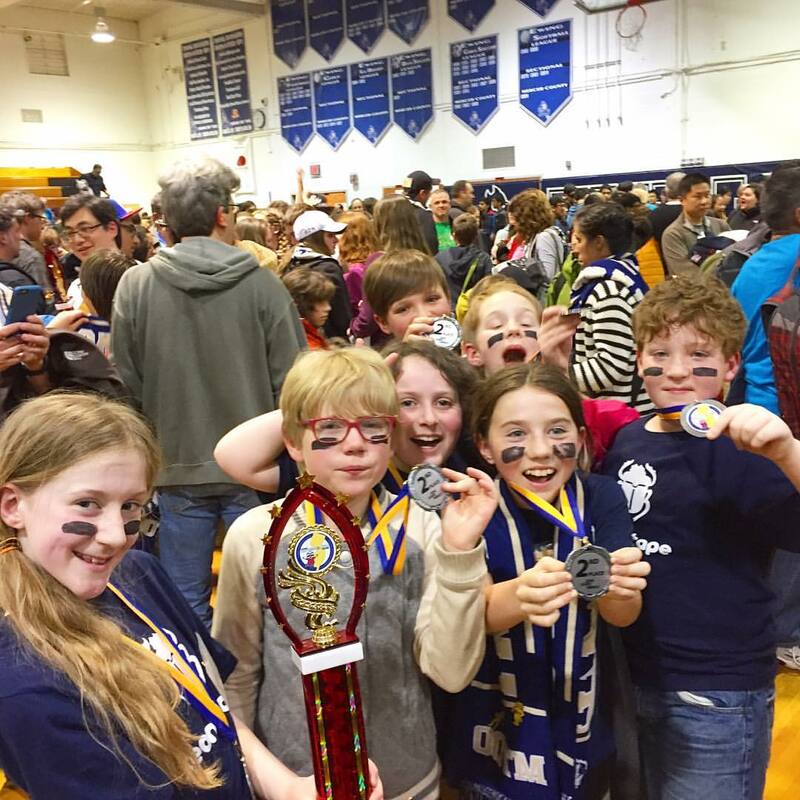 The Collingswood OM Booster Club is raising money through to send these teams of smart, creative, hard-working kids to World Finals. Your donation will help the Booster Club pay for registration fees, room and board, and transportation for the kids and their creative contraptions. Thank you so much for your support. Donate by check. Please mail your check in any amount payable to "Collingswood Odyssey of the Mind Booster Club" to the address below. Donate online using credit or debit card. Click the link below to donate using PayPal. Note: PayPal charges us a fee for processing the transaction. Other donations. If you would like to donate items that we may use as raffles or door prizes at upcoming fundraising event please email . Be sure to visit our Thank You Supporters page!